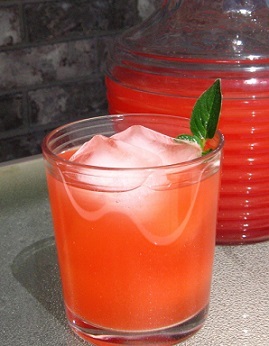 This Fruit Punch Recipe is for when you're having guests over and need a restaurant drink recipe for a non-alcoholic punch that is quick and easy and delicious. Owning a restaurant for over three decades allowed me to collect a number of very good punch recipes for just these times. This restaurant punch recipe is great. It is restaurant customer tested and approved. Preparation time: 15-20 minutes. Makes 1 gallon or about 20 six ounce servings. The punch mixture (minus the ginger ale) can be made in advance and stored in your refrigerator in a covered container and finished later by adding the ginger ale just before serving. 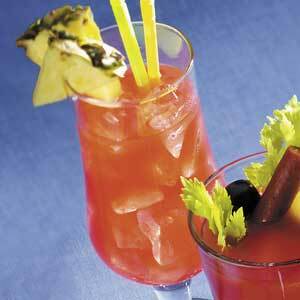 Enjoy your easy party punch and the company of those you share it with! It is a real restaurant recipe as are all the recipes on the website.